We all know that using your hands to check your phone while driving can be dangerous, but don’t think you’re safe just because your hands are on the wheel. A new American Automobile Association (AAA) study into hands-free texting shows that the practice is even more dangerous than making hand-held phone calls. “These findings reinforce previous research that hands-free is not risk-free,” explains AAA CEO Peter Kissinger. If you're one of the 49% of Americans who text while behind the wheel, hopefully this news will make you think twice – its an incredibly dangerous practice no matter how you do it. And since texting behind the wheel now kills more teens than drunk driving does, it's increasingly important that you discuss with your kids the importance of keeping both eyes on the road. 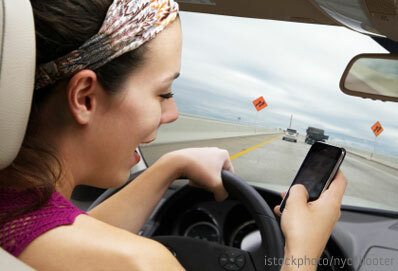 Check out our list of apps that remove the temptation to text and keep kids safe on the road. After all, no text message is more important than a human life.